Hello again! 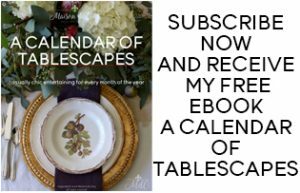 For a blogger who normally posts only once, or sometimes twice a week, this season has sure been busy! Hopefully you’re not sick of hearing from me, as I’m sharing my last holiday home tour post today! 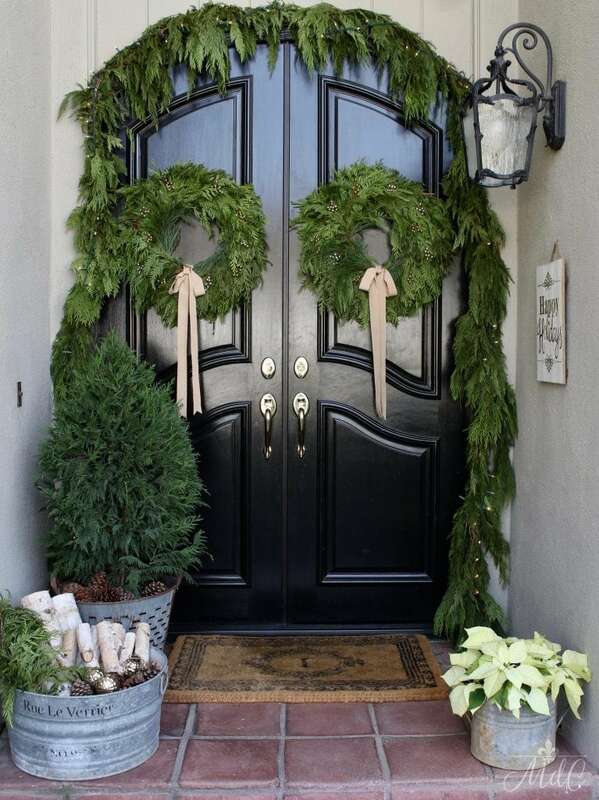 This time I’m joining some fellow blogger friends for their 12 Days of Holiday Homes Tour hosted by 11 Magnolia Lane and Evolution of Style, and I’m excited to show you my French Inspired Christmas Front Porch! 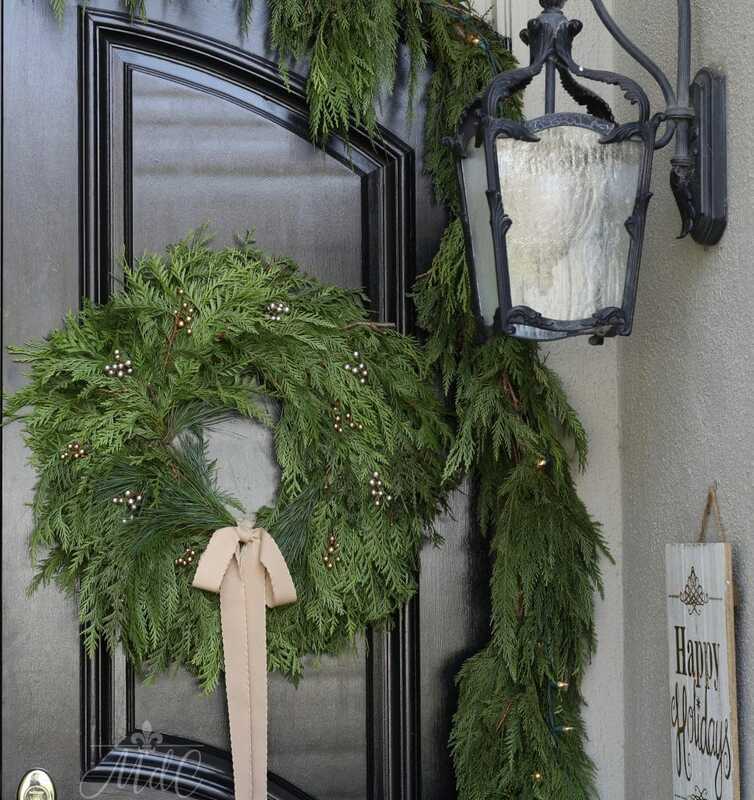 Though I’m showing you the porch last, it’s actually one of the most important parts of your holiday decorating as it sets the tone before anyone walks through the door. 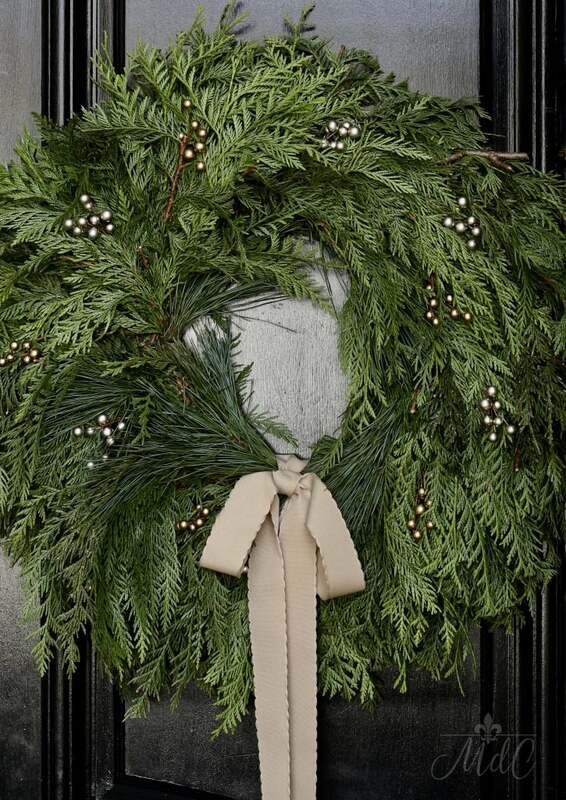 This year I’m lucky enough to be featuring two gorgeous natural wreaths from Lynch Creek Farm and I’m loving them! Welcome and come on over…. Hudson says welcome, too! He wanted to come outside and “help” today so he came and hung with me. And no, he didn’t get in the way at all (wink, wink)! I used natural garland which I purchased at my local Trader Joe’s and added my own lights. The wreaths are courtesy of Lynch Creek Farm. I’ve always used natural garland on the porch and usually I’ve paired it with this boxwood wreath, but this looks so much better. Now, I feel like the two go together better, and I couldn’t be happier with the fullness and beauty of these wreaths! I’m in love with my little pine tree! I love chubby trees and this one is just the perfect size for my vintage olive bucket. I swear it makes me smile every time I walk by! 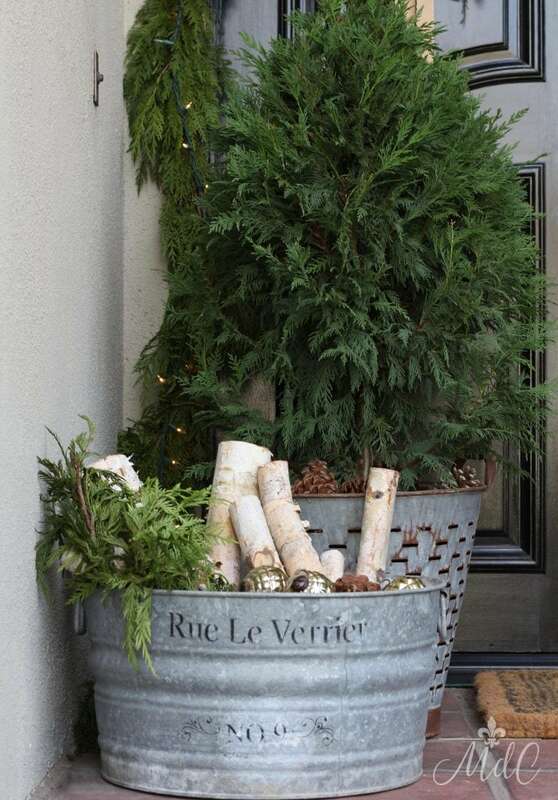 An old galvanized tub holds some extra greens, logs and pinecones. 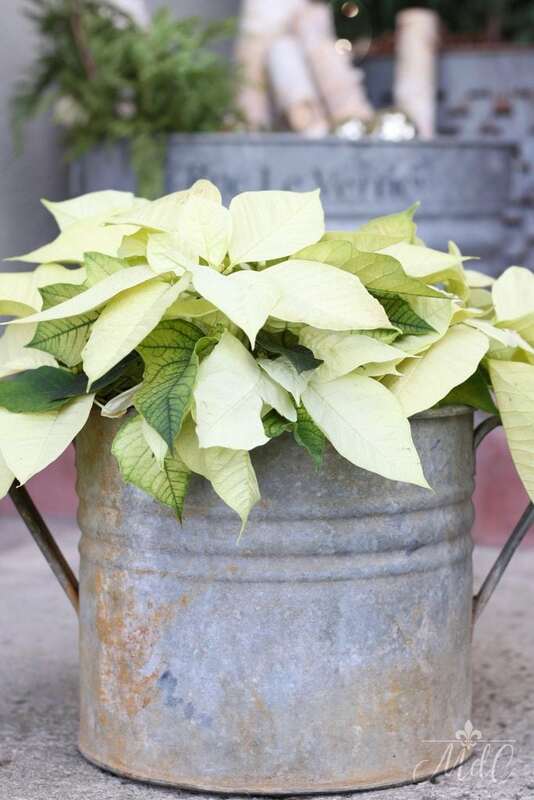 I love poinsettias and usually have the white ones scattered around. Inside, I featured them in my dough bowl as part of my kitchen tour. 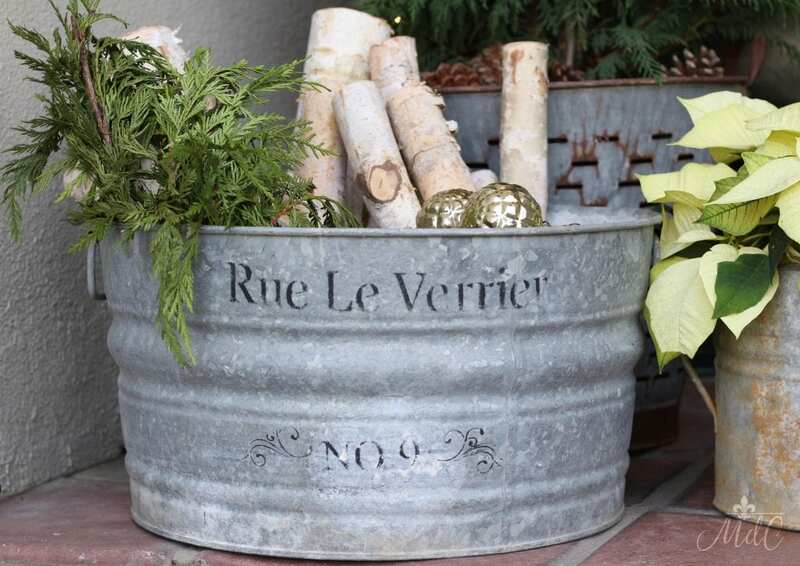 The bucket is vintage French zinc. 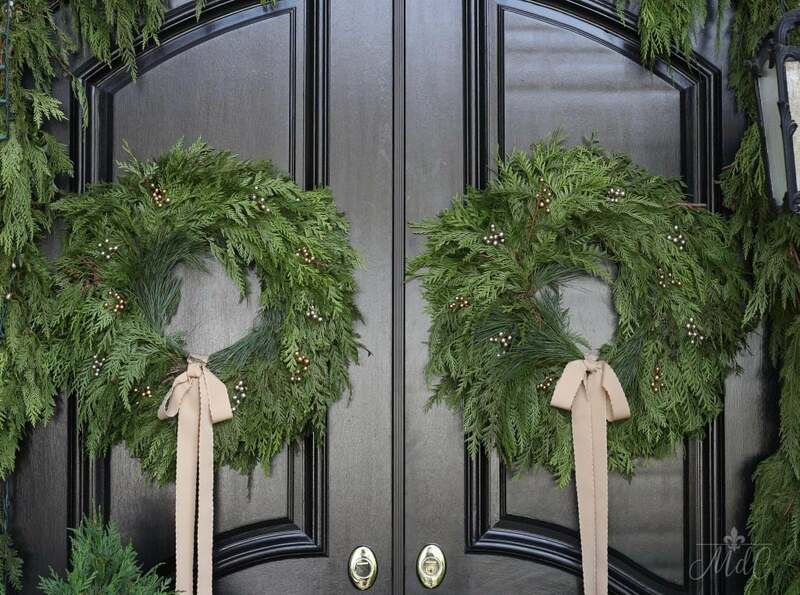 The Lynch Creek Farm wreaths are the Three Cedar’s wreaths. They came with a red bow, however, since I wasn’t doing red this year I replaced that with my own tan ribbons. I also added the little gold and coppery beads and I’m loving the result! 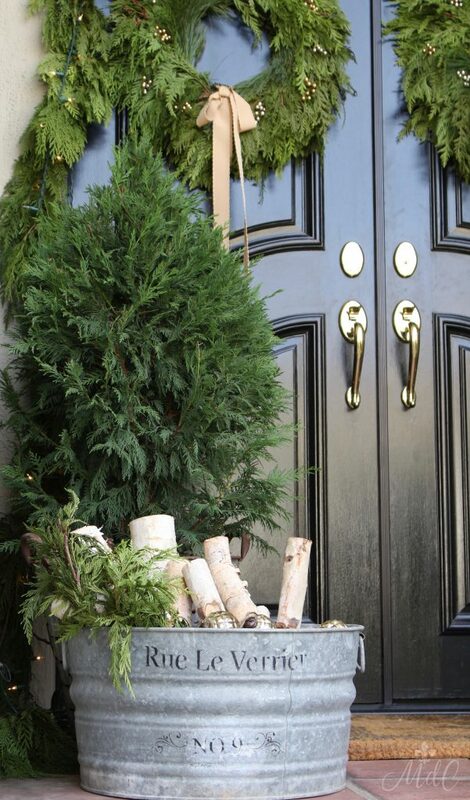 With all of the simple greenery on the porch it’s nice to have just a little bling! Even my bench got a little decorating! 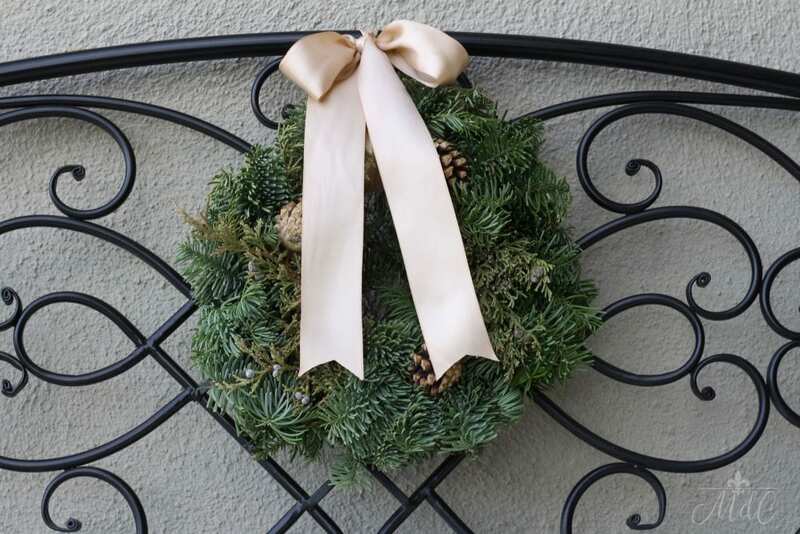 I love to add a small wreath here and just tie it on with a simple ribbon. 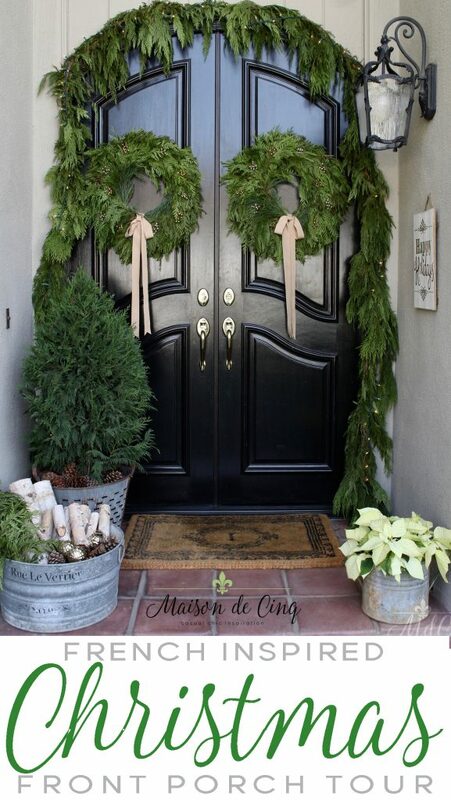 Thank you so much for stopping by and for visiting my French Christmas Front Porch. I also want to wish all of you a wonderful holiday season. May you be surrounded by family, and laughter, and love. Because isn’t that what it’s all about? I hope you’ll take a few moments and visit 11 Magnolia Lane and The Heathered Nest who are posting with me today, and then go onto some of the other gorgeous homes being featured below! Oh my you are amazing! Your entry way is lovely. 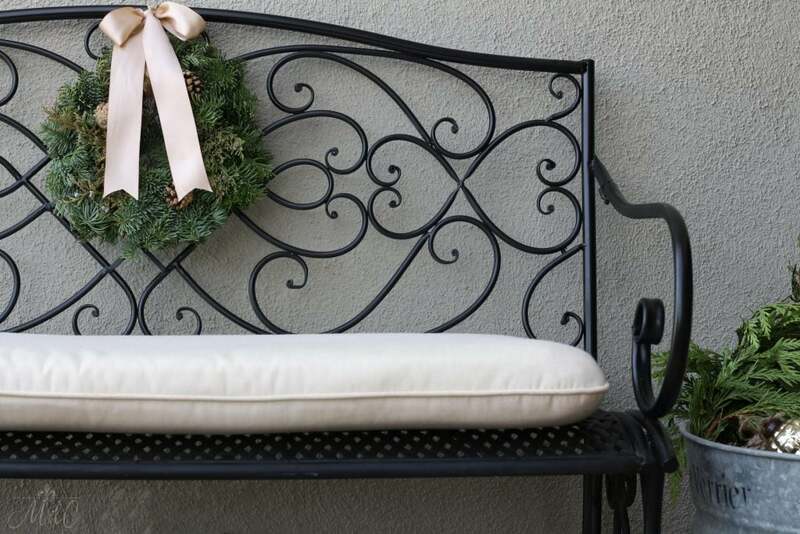 I love your cozy entrance and in particular that small wreath with tie on the bench. Aww thank you so much Julie! That is so kind – and I appreciate you taking the time to write! Wow! Awesome decorated porch. I just love your your dog. Such a gorgeous front porch! Love all the greenery and Hudson is so cute!! I swear, you have the most beautiful front porch!!!!! WOW! If not for my daughter on mine, I would pick yours as my ultra-favorite! LOL! As always, honored to share this home tour with you! Happy Holidays to you! And thank you so much for stopping by! Awww thank you so much Jen – that’s so sweet!! Can’t wait to see your tour of your gorgeous home my friend! What an elegant front porch! I love all the green and I love the way Hudson matches the ribbons! Sheila, you knocked your porch out of the park! It’s so beautiful! 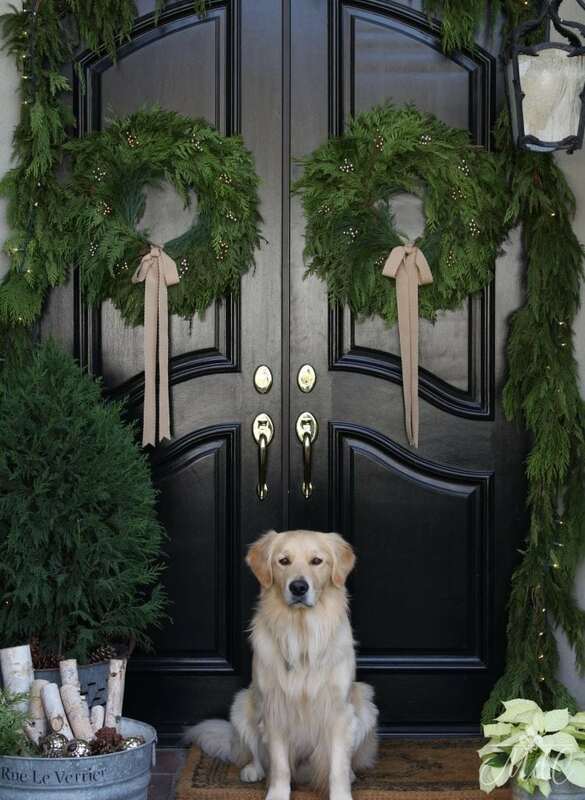 And I love the wreaths and garland together! I might have to think about the three cedars wreath for next year! Thanks for participating in the tour this year – your taste is impeccable! Aww thank you SO much Jenny! You’re so sweet – that truly makes my day! 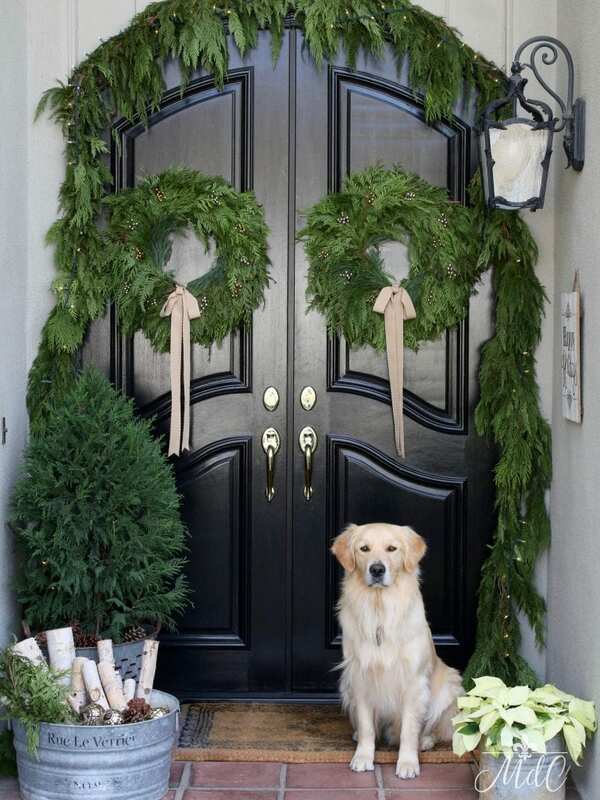 And I love their wreaths! 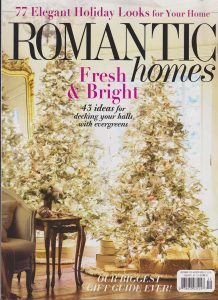 I’m such a natural greens person, I really only have faux because of blogging and decorating early. These make my heart happy when I look at them! So thank you to you and Amy and Christy for letting me tag along on the tour. I’m so thrilled to be joining such a talented (and kind!) bunch! Hi Tam! Thanks so much for stopping by, and for your sweet words about my porch. I so appreciate your constant support and encouragement sweet friend! Happy Holidays to you and your beautiful family! I love it, Sheila! Every detail is simply gorgeous, and so is Hudson. Thanks so much for joining us on the tour! Thank you Christy! I’m thrilled to be joining you all and can’t thank you enough for having me! 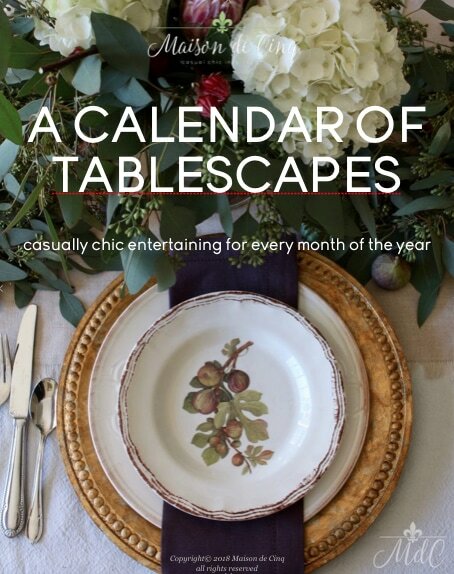 Can’t wait to see your pretty house – I better get my pinning fingers ready! Aww thanks so much Amy! We’ve been wanting to replace these doors forever as they are actually in terrible shape – drafty and warped, etc. But they are photogenic, so maybe for blogging I’ll just keep them! haha…. And thank you again for having me! I’m so glad to be “touring” with all of you and can’t wait to see your house all dressed up! Haha Cassie, I’m pretty sure Hudson knows he steals the show!! But seriously, thank you so much for stopping by, and for your lovely words. You’re so sweet! I knew I’d love your home tour and not so surprisingly, I do! All of the fresh greenery is just stunning, Sheila! I’m absolutely in love with the tan scalloped ribbon too. Where did you find it? Thanks so much Lisa! And how interesting that you get different garland – but it is nice that they are buying what is local to each area! What about Home Depot? Ours here always has cedar garland as well. Thanks for stopping by sweet friend – so appreciate it! And I hope you and your family have a wonderful Christmas!